I don’t mind carrying a small handgun that is very efficient for its size. Some handguns are a wonder of downsizing. But small 9mm handguns have a set of problems that isn’t easily addressed. These include lower magazine capacity and lower hit probability. A short sight radius doesn’t make for good accuracy. 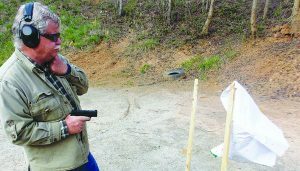 Some of these handguns are difficult to shoot accurately and handle quickly. The SIG P365 addresses these issues and does so well. The pistol is light, compact, reliable and features good combat accuracy. The grips fit most hands well and there are no sharp edges to speak of. The pistol is a double action only design with a minimum of complication. The double stack magazine holds ten cartridges. The pistol is only an inch wide. The piece is compact; it is downright small but handles well in firing tests. The P365 is a compact but reliable handgun. It is supplied with two well-made ten-round magazines. The pistol operates in a fashion similar to the Glock, Smith and Wesson Military and Police and a few others. The Sig P365 features a prepped or partly cocked striker that is loaded by racking the slide. The trigger is pressed and the striker is pulled fully to the rear until it breaks against the sear. The trigger press is smooth and reset rapid. Field stripping is simple enough; just turn the frame lever. Two magazines are supplied, one a flush fit and the other with an extended floor plate. The grip stippling is rough enough for good adhesion when firing but not rough enough to abrade any flesh when the pistol is carried close to the body. I carried the handgun in a Galco Stow and Go inside the waistband holster intended for the Glock 43. The fit was OK. I am certain Galco will be up to speed on the proper size holster soon. This is a small handgun, teeny compared to my usual Commander .45. The piece weighs but 18 ounces. The P365 is an inch across the slide, 5.8 inches long, and only 4.3 inches high. The pistol is a ten-shooter; tell yourself when looking over dimensions. It feels like a slim line with a slim magazine but it isn’t. The P365 9mm is small for the magazine capacity. 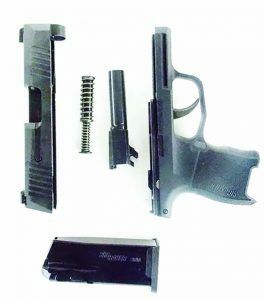 The pistol, like the P320, features a steel chassis in the polymer frame. This may make the pistol a good choice for a modular capability if different size frames become available. 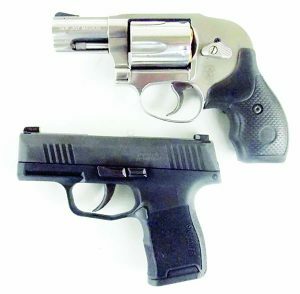 The P365 features twice the ammunition capacity of the typical hideout revolver. To begin the firing tests I loaded the magazines with Winchester 115-grain FMJ, an affordable and clean-burning loading. I obtained several 100-round boxes and this loading is a mainstay of my 9mm testing. I had dry fired the piece and was prepared for the field test. I began firing the pistol at man-sized targets at 5, 7 and 10 yards. I was surprised at the pistol’s shooting capabilities. It is supplied with night sights and the bright green front dot provides an excellent aiming surface. The pistol is accurate. I was able to put the rounds into the X-ring with a minimum of acclimation. The pistol is controllable. There were no failures to feed, chamber, fire or eject. I had good help wringing the pistol out and in short order we had made a pile of brass. Even with +P loads the piece is manageable, however, +P loads produce greater momentum. One drill that I perform with a new handgun is to fire a full magazine from retention position. A flex of the wrist or a less than ideal spring set up will result in a tie up. The P365 sailed through without any type of malfunction. Results were good. Using only one type of ammunition isn’t much of a test. I added the Winchester 147-grain Defender and the Winchester 124-grain PDX +P. At 920 fps and 1125 fps, these are loads are on opposite ends of the spectrum for bullet weight and velocity, with some favoring the penetration of the 147-grain load while others favor the expansion of the +P load. These loads do 960 fps and 1202 fps from the Glock 19, so there is some velocity loss in a short barrel. I also tested the Sig Elite Ammunition 124-grain V Crown. This load broke 1115 fps from the Sig P365. Firing from the retention position, the P365 gave good results. Firing the P365 with this range of ammunition provided interesting results. The Winchester 147-grain load exhibited light recoil and good control. Accuracy was excellent. The Sig-Sauer Elite load is more energetic and offered greater felt recoil. The PDX +P load offered greater recoil, and frankly recoil was startling when firing with the weak hand and using +P loads. When firing full size 9mm handguns the difference between standard pressure and +P loads isn’t very noticeable, at least not to experienced shooters. With the P365 the +P load demonstrates the greater recoil by a considerable margin. I would carefully choose the duty load. While I am certain +P recoil could be managed- and the pistol is rated for +P loads, a good standard pressure load might be the better choice for most shooters. Just the same, I can see grooving into the Sig P365 with +P loads. I tested the pistol in a compressed time frame. The Sig V Crown hollowpoint load would be a good carry load. The Winchester 115-grain Silvertip would be another. 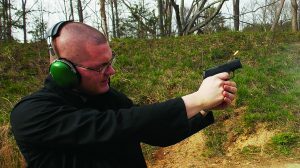 Firing with the non-dominant hand recoil was more difficult to control but the pistol is useful for personal defense with one hand. The pistol is reliable, accurate, fast handling and easy to conceal with proper leather. It sounds like a winner to me. 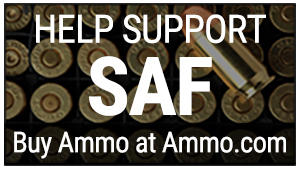 A big thanks to local FFL South Carolina Gun Company, online: Scgunco.com; phone: 864-334-5151.